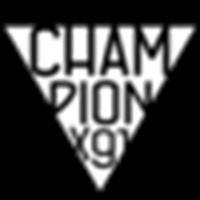 Buy championx91 a coffee. - Ko-fi ❤️ Where creators get paid by fans, with a 'Buy Me a Coffee' button. Greetings everyone, I'm a freelance artist and art is my passion. If you could help me by donating it would be greatly appreciated and it will let me continue to do what I do. If you like my work and wish to support me, buy me a coffee! Secured Payments. Support goes to championx91's account. Upgrade championx91 to a yearly Gold Membership with a one-time payment.